Running, besides being good for your health, is a great way to explore Buenos Aires. There’s so much to see in the city and every neighborhood has a different feel to it. With a metropolitan population of around 12 million and an area of over 75 square miles, you could run a different route everyday for years. I’m assuming that you don’t have that much time, so I’ve described a few of my personal favorite runs. The Palermo neighborhood seems to have everything everyone wants, and the same is true for running. The streets are tree-lined and there are gorgeous houses around every corner. Palermo also has loads of parks and green space centered mostly around the stunning Monumento de los Españoles. These parks, commonly referred to as the Palermo Woods (Bosques de Palermo), are the urban retreat for many porteños. Every day there are joggers, cyclists, roller skaters and picnickers in the parks. There is a pedestrian only area that circles the lake at Plaza Holandia that is perfect for running. 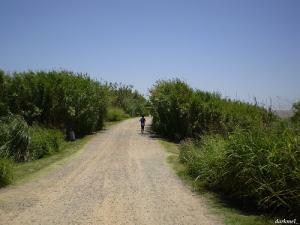 Another great route is the Avenida Costanera Rafeal Obligado. The name is a tad long winded so it is usually called Avenida Costanera. The Avenida beings on the far side of Jorge Newberry Airport. The Avenue follows the river for the entire route and affords some stunning views of the Rio de la Plata. Following this thoroughfare will lead you past anglers, the religiously themed Tierra Santa and the somber Parque de la Memoria. This park gives memory to those who were “disappeared” during the military regime. Avenida Costanera ends at the City University, which is also fun to explore by foot. This route is flat and direct, making it perfect for a distance workout or relaxing run. If an escape from the urban jungle is desired, then the Reservea Ecológica Constenera Sur is for you. Just beyond the glitzy, new towers of Puerto Madero is a huge tract of undeveloped land with river views and natural paths. The entrance to the park is on Padre Migare, between Dique 1 and 2. Within the park you will find four lakes and uninterrupted wilderness. The Reserve is perfect for taking a respite from the car horns and diesel fumes of the city. The park is popular on the weekend but if you go during a weekday you just might have the place to yourself. It’s so big, that you might not notice even if you don’t. These are just three suggestions for the runner in Buenos Aires, but I feel they are a must. If one has more than a few days in Buenos Aires, lace up your shoes and make up your own route. Running through Buenos Aires is an experience for the senses and body and a great way to explore the myriad of things the city had to offer. I can’t wait to visit BsAs again and try out one of these trails! Thanks for the tips and happy running. That was an awsome article by Brendan. If I ever visit Buenos Aires I would want to visit The Reserve. Sounds great! Great article! Very informative. Although I don’t live in Buenos Aires, it makes me want to experience what the city has to offer. I think it’s a great City to run!! This article makes you want to return to BA immediately. And my wife and I are just waiting for the flight to BA. We spent a day in the park last year and loved it. Great scenery and lots of birds. Also the Tierra Santa (Holy Land) Park seems to be worthwhile visiting. 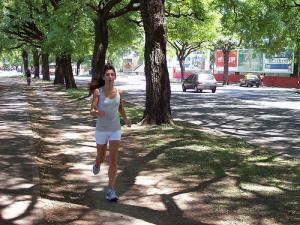 Great article – Yes I love running in Buenos Aires also, particularly the Bosques de Palermo. There are three lakes (minimum) in the Palermo forests, and if you venture a bit further from the famous Rosedal (Rose Garden) you can find a Japanese Garden also. There are lots of rare birds are in the Ecological Reserve past puerto madero, I got talking to a bird watcher with binoculars etc from England as I stopped to catch some breath. This page rendered in 0.78 seconds.